(Amesbury MA) Very close…..but I’m sure that isn’t any consolation. 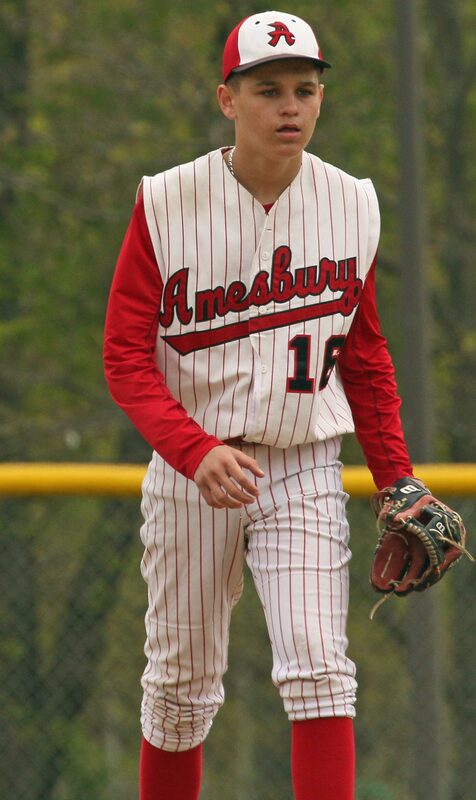 Amesbury put a solid six innings together and looked to be on the verge of ending a 10-game losing streak. Hamilton-Wenham, however, opted not to cooperate. The Generals (7-5) tied the score in the top of the 7th and then exploded in the extra inning for an 11-5 win. 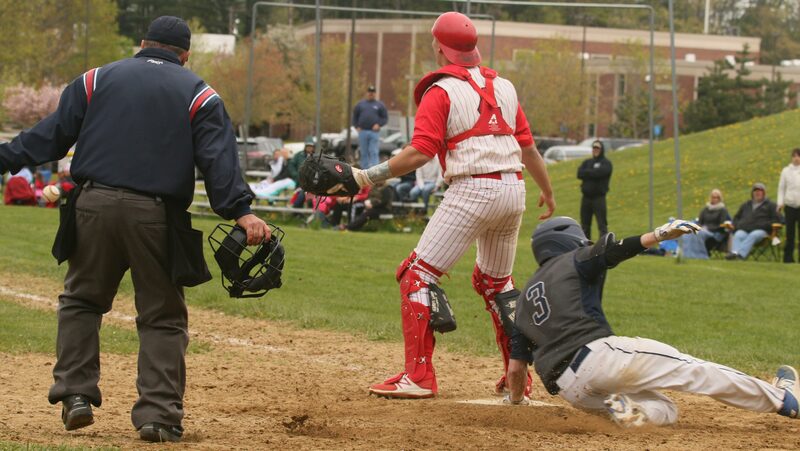 This was a Saturday afternoon Cape Ann League contest played in cold (upper 40s) conditions. 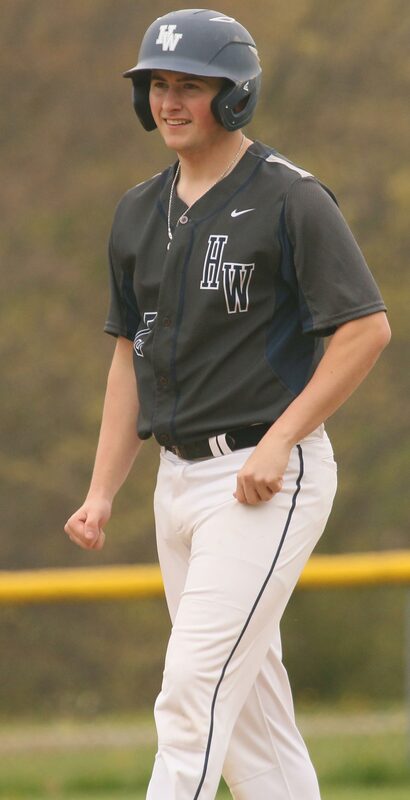 Jake Lanciani (2nd team CAL All-Star last year) had plenty to do with the HW victory. 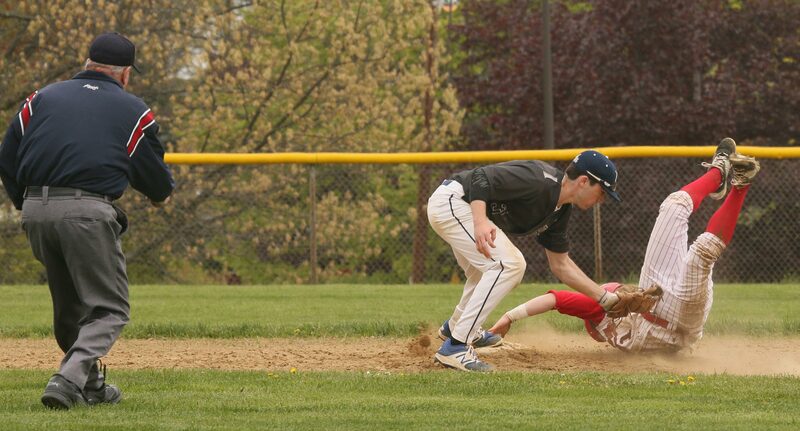 Jake had three hits and scored three runs. 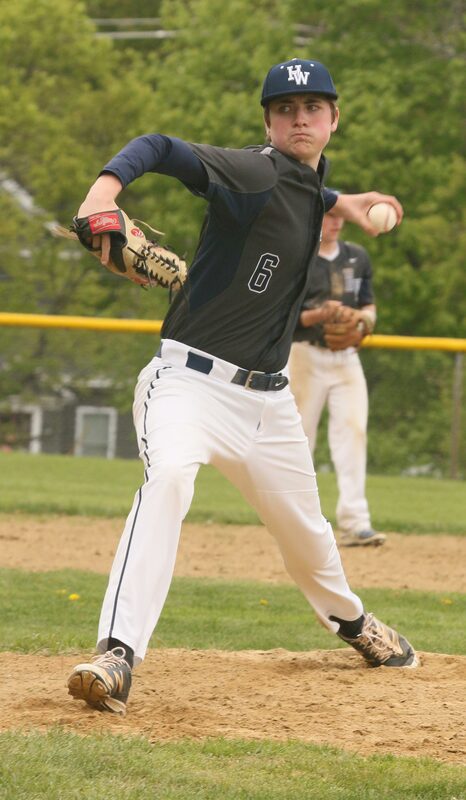 He also transferred from shortstop to pitching in the 5th inning and was the winning pitcher. The Indians (1-13) broke a 2-2 tie during Jake’s first inning of relief. 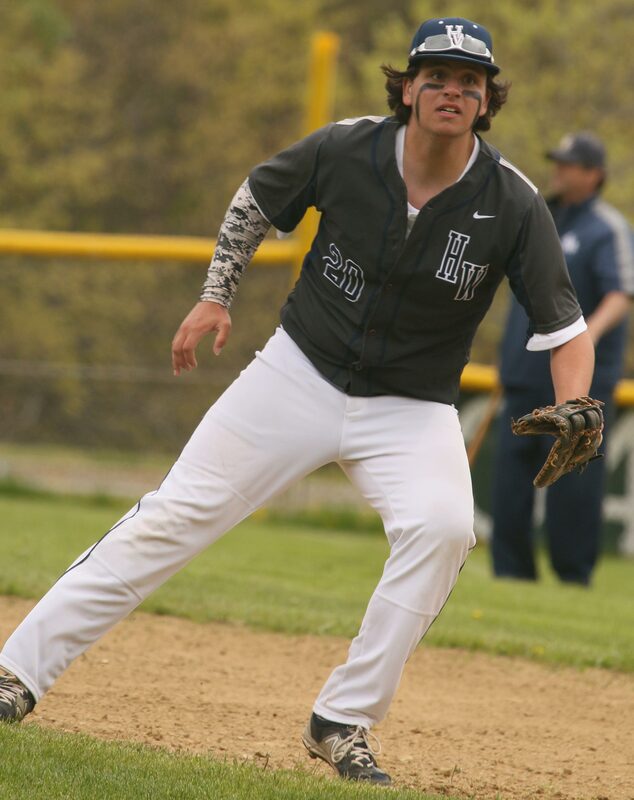 AHS collected three runs as the HW defense (Michael Crowley, Nick DiMarino) gifted the scores with drops in the infield. After that rough fifth, the HW errors ended and Jake held the home team hitless and notched three strikeouts. 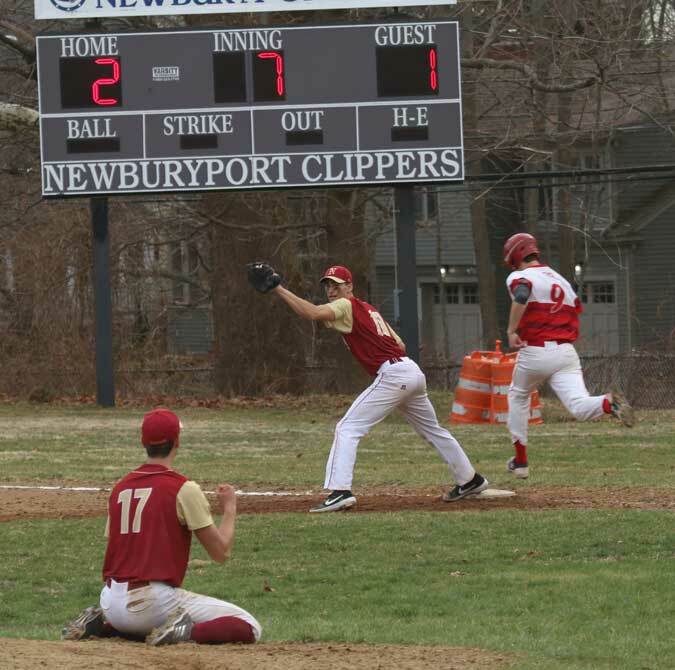 While Amesbury struggled in the late innings, the visitors tallied nine hits in the final two innings after having just four hits in the first six innings. 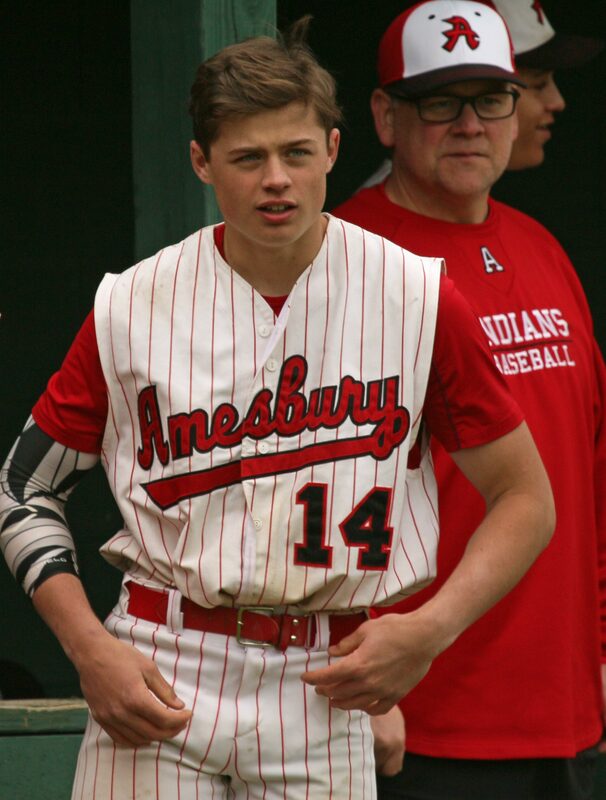 Zach Prentiss pitched his arm off for Amesbury. He scattered four hits during the first six innings. 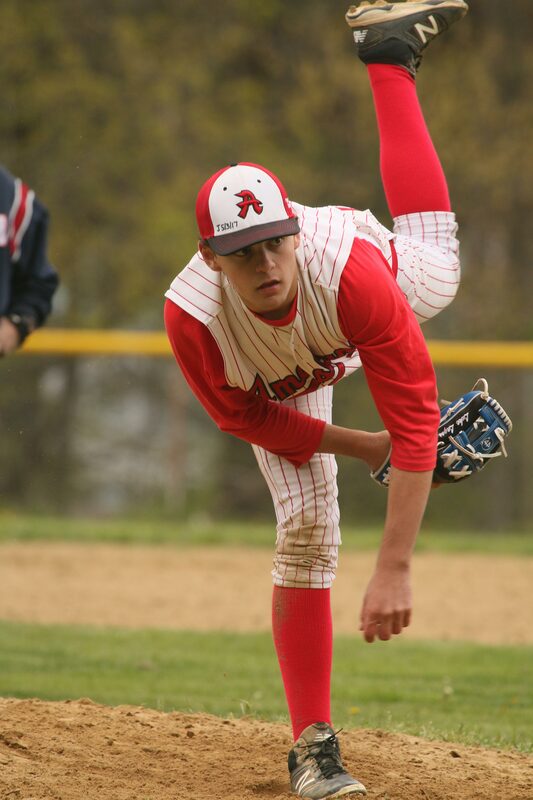 The AHS senior was the frustrated losing pitcher. In the comeback top of the 7th, HW had the three runs they needed back in a hurry. Cam Vautour walked, and then consecutive singles by Conor Evers, Sal Gaurino, and Jake Lanciani followed. A sacrifice fly by Hunter Wilichoski (3 RBI) tied the score. 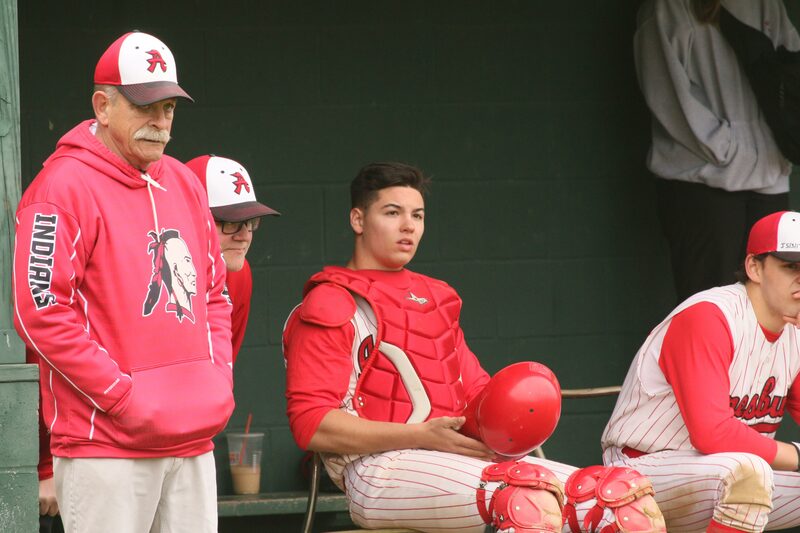 In the put-away 8th inning, HW again started strong with a hit batsman, single, walk, and another hit batsman before AHS had an out registered. Three straight singles followed and the Generals had a six-run, game-winning inning. The ball did not seem to carry at all on this cold afternoon. 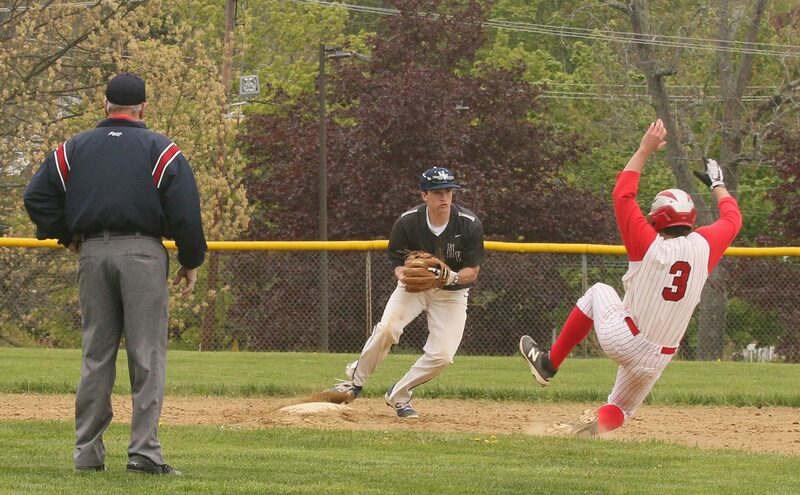 HW had a number of bloop hits landing just in front of diving AHS fielders. 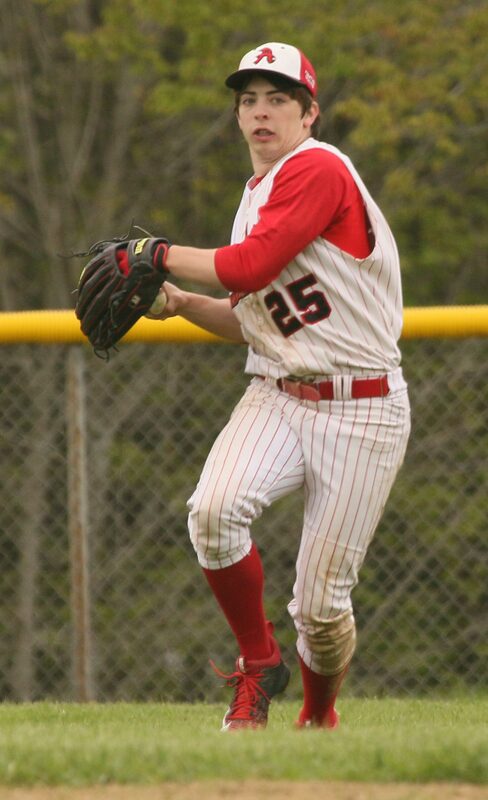 Freshman Will Jones went the first four innings for the Generals. He was adept at escaping jams. Will stranded three in the first and two in the third and fourth. 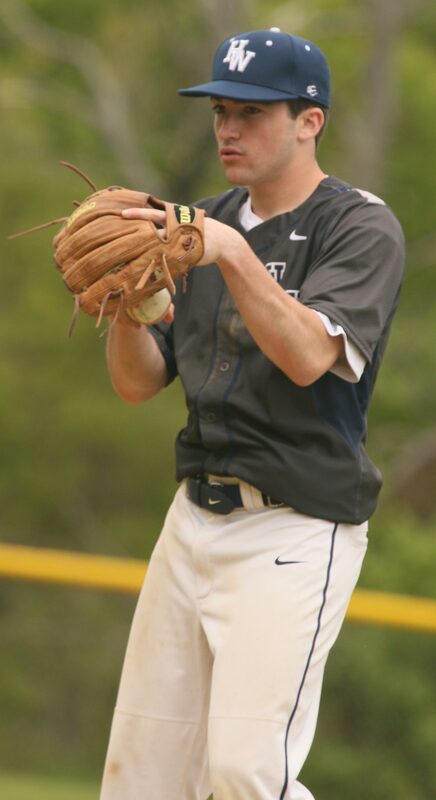 Freshman Conor Evers had two hits and scored three runs. 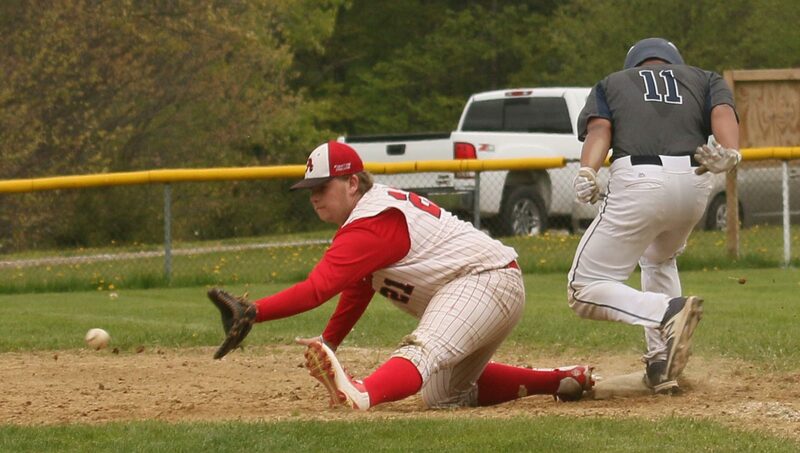 Ray Arsenault, DJ Grandmaison, and Luke Lagos each recorded two hits for Amesbury. The Indians had nine hits through five innings but none after that. 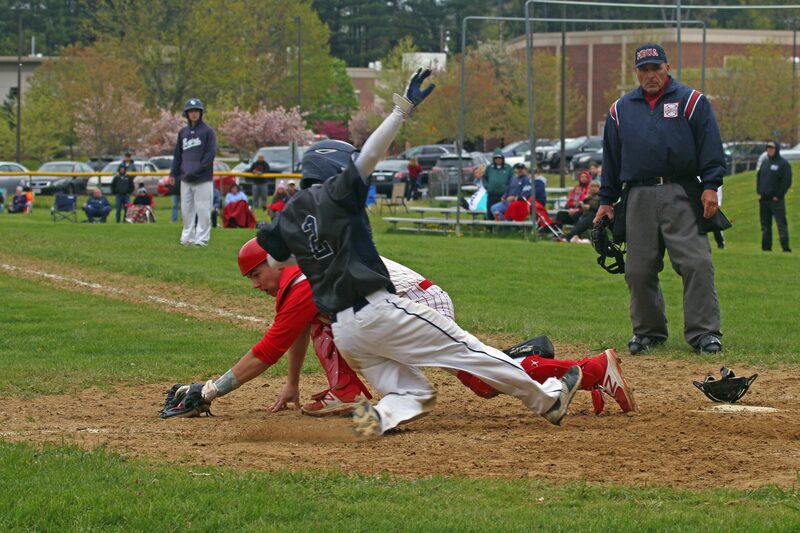 Adam Parady showed his speed beating out an infield hit in the HW seventh. 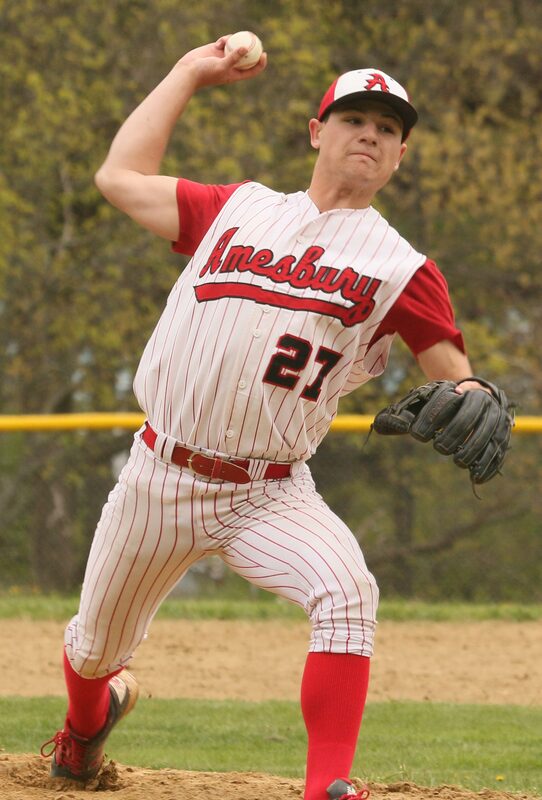 Luke Lagos pitched an inning of relief for Amesbury. 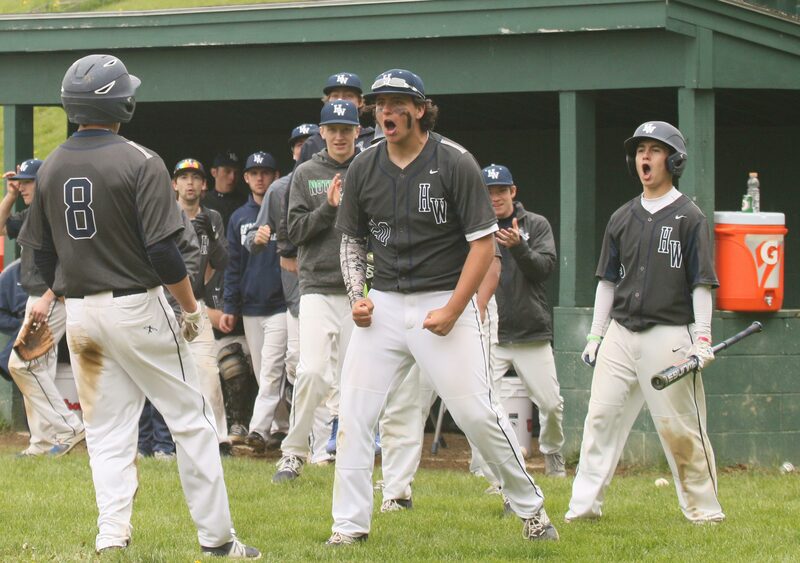 The two teams will go at it again on Monday at Hamilton-Wenham. 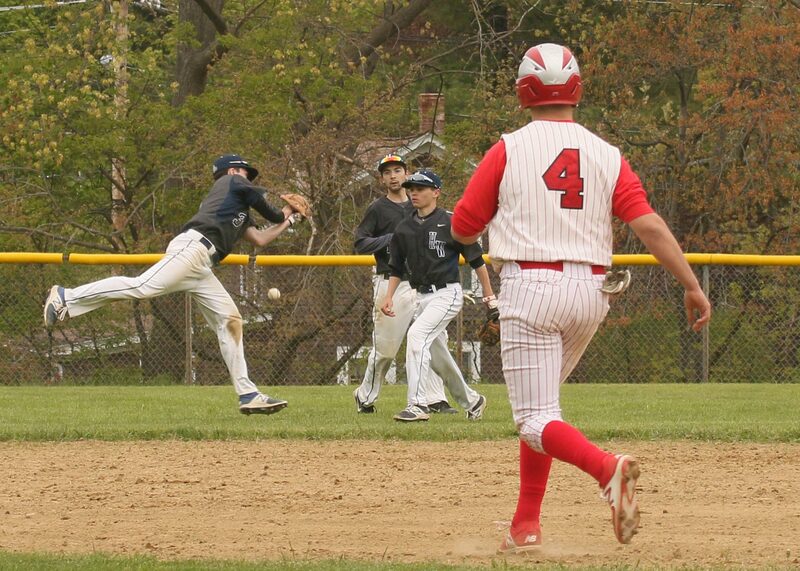 Right fielder DJ Grandmaison nearly had a force out at home after an apparent hit. It became a hit after the runner scored. 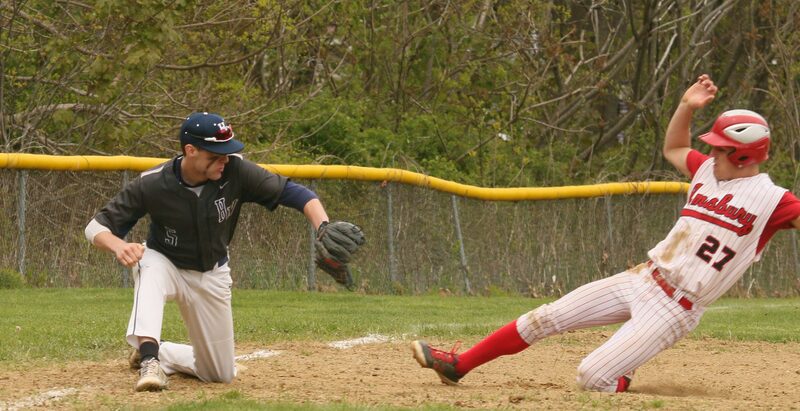 Hamilton-Wenham had two double plays nullified on close plays. One involved touching second base before the relay to first.